Comes standard with 1 Victorian Brass Knob. 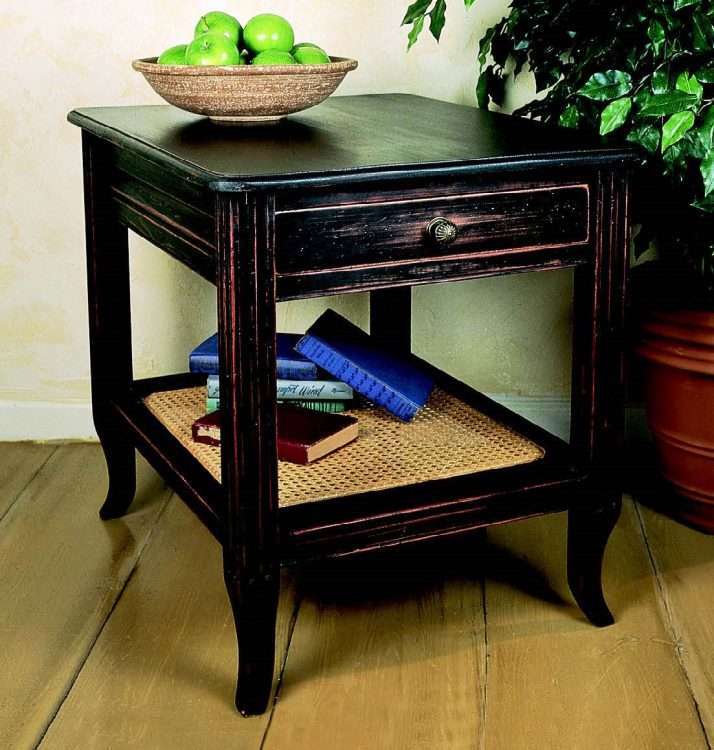 Features 1 drawer on wooden drawer glides, and 1 lower cane shelf. 10-1/2 H from shelf to bottom of apron.